The latest in our series of Oral History Interviews with members of the Antique Trade was recorded last week. Our interviewee was the well-known antique dealer Jonathan Harris, formerly of Phillips & Harris, of Kensington Church Street, London. 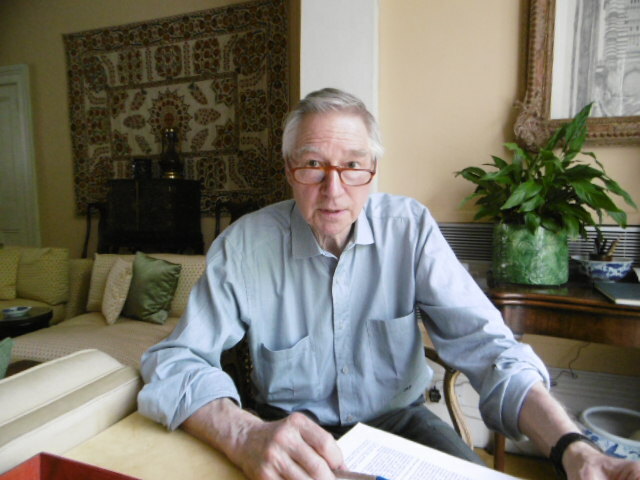 In an absolutely fascinating interview, full of personal reflections on his life as an antique dealer, Jonathan told us about how he started in the trade in the mid 1960s, following a brief spell at the auctioneers Christie’s, before he entered into partnership with Henry Phillips in Kensington, London in 1967. Jonathan Harris, at his London home. May 2016. Jonathan’s eclectic interest in antique objects shaped the acquisitions for the business of Phillips & Harris – the shop in Kensington Church Street was always full of an amazing mixture of spectacular objects, from 16th century sculpture, to early 20th century furniture. 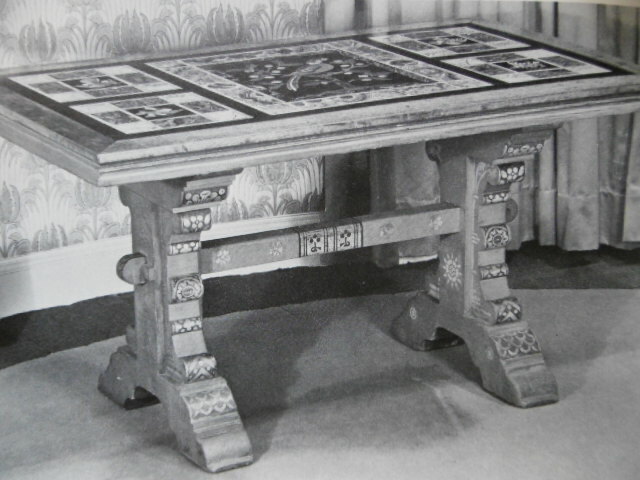 An example of Jonathan’s taste for the historically significant, and the visually stunning, is the centre table designed by the architect William Burges in c.1867, for Burges’ own home in Buckingham Street, London. Jonathan sold the table to Lotherton Hall, part of Leeds Museums & Galleries, in 1971 (a similar table in is the collections at Birmingham Art Gallery and Museum). Table, designed by William Burges, c.1867. Sold by Phillips & Harris to Leeds Museums & Galleries in 1971. During the interview with Jonathan we had the pleasure of taking a brief tour of some of the objects that he had collected over the years; it was fascinating to hear what had interested Jonathan about the objects and why he had acquired them – Jonathan belongs to that great tradition of antiquarian collecting, where the discrete history of the objects is a rich catalyst for the deeper traditions of story-telling, and served to remind me of the importance of the ‘oral history’ research as a key part of the broader Antique Dealer project research activities. As with all of our Oral Histories, our interview with Jonathan will soon be made available via the Antique Dealer project websites.